Moist coniferous forests (pines, spruces, and fir). The plants are strongly stoloniferous, with leaves somewhat like those of many violets, or Mitella nuda (even to the stiff hairs on the upper side of the blade), but the margin is more finely crenulate, and the petioles are densely hairy with prominent stipules at their bases. In addition to the white petaliferous flowers borne on long ascending peduncles, there are apetalous cleistogamous flowers on peduncles shorter than the petioles; these are usually the only ones that set fruit, which consist of dryish druplets enclosed by the calyx. MICHIGAN FLORA ONLINE. A. 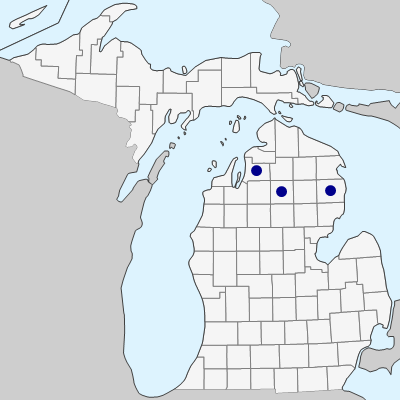 A. Reznicek, E. G. Voss, & B. S. Walters. February 2011. University of Michigan. Web. 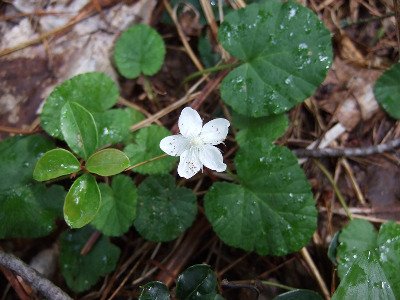 April 21, 2019. https://michiganflora.net/species.aspx?id=2477.